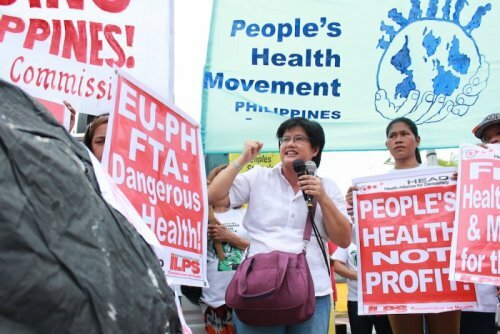 The Philippines will further define the country’s offensive interests and sensitivities in the ongoing bilateral free trade agreement negotiations with the European Union (EU) even as it beefs up consultations with the private sector on the government’s Europe strategy. Trade and Industry Assistant Secretary Anne Robeniol stressed this as the DTI will hold a series of stakeholder consultations in Manila, Cebu, and Davao to discuss the Philippines’ Europe Strategy under its “One Country, One Voice consultations” (OCOV). The consultation aims to solicit inputs on the ongoing FTA negations with the EU; and provide a briefing on the Philippines-European Free Trade Association (EFTA) FTA and the EU Generalized System of Preferences Plus (GSP+). Members of the business sector, civil society, and relevant government agencies are expected to participate in the consultations this month. “The upcoming OCOV consultations will focus on promoting wider involvement of stakeholders in the Philippines’ trade engagements with Europe, particularly in further defining the country’s offensive interests and sensitivities in FTA negotiations,” Robeniol said. Robeniol did not elaborate except to say that the country’s priority is to build on the benefits from the EU-GSP+ privileges. “While we are working to create a more robust trading and investment relationship with the EU and EFTA, our priority is to utilize the current tangible and concrete gains of our trade engagement through the EU-GSP+ and build on these gains through FTAs,” added Robeniol. The EU-GSP+ is a preferential tariff scheme which allows the country to export more than 6,000 products to any EU member country tariff free. Last year, with the EU-GSP+ in force, Philippine exports to the EU market grew by 27 percent as compared with total figures recorded in 2014. According to Robeniol, this is part of DTI’s parallel three-pronged strategy to establish a stronger foothold in the European market which also include securing long-term duty free market access in the EU and the EFTA through separate free trade agreements (FTAs). At present, the Philippines is preparing for the 2nd round of negations with the EU on a possible FTA as well as the executive ratification and Senate concurrence of the recently signed PH-EFTA FTA. The consultations will be held on 16 September at the DTI International, 19 September at the Seda Abreeza Davao, and 21 September at the Quest Hotel Cebu. For his part, DTI Undersecretary Ceferino S. Rodolfo said the agency will act with deliberate speed to nurture our trade and investment relations with Europe and ensure that local enterprises can take advantage of the opportunities in European market. The OCOV consultation is an important pillar in our unified industry and trade strategy that helps ensure that our trade negotiating position remains rational, responsive to, and grounded on the needs of our stakeholders,” said Rodolfo. The DTI has been conducting stakeholder consultations through its OCOV program which allows stakeholder participation in trade policy formulation. OCOV, launched in 2011, facilitates transparency and accountability as government undertakes the process of engaging in dialogues, building mutual trust, and arriving at rational, sound and balanced trade policies in pursuit of national development. To date, consultations have been conducted in key cities in the country, particularly on the country’s trade engagements with Japan, the EU, and EFTA – Norway, Iceland, Liechtenstein, and Switzerland. Rodolfo said that the DTI is set to foster dialogue and gather stakeholder feedback on cross-cutting trade and industry policy issues. “Our goal is to build on our offensive interests, identify possible roadblocks and determine the necessary measures to better prepare and strengthen industries to upgrade, thrive, and compete with the country’s European partners,” he added.